Vegetable prices shot up by 44.91 per cent in August while fuel inflation shot up as petrol and diesel prices continued to remain high. 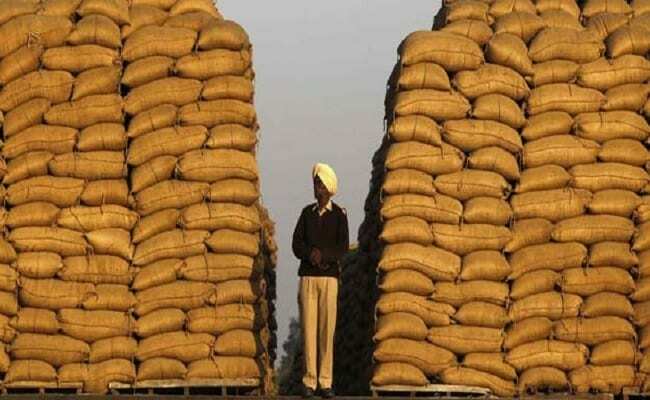 Wholesale Inflation rose as food prices surged 4.41 percent year-on-year. New Delhi: Wholesale inflation rose to a four-month high of 3.24 per cent in August as prices of food articles, led by onions and vegetables, soared. Inflation based on the wholesale price index (WPI) was 1.88 per cent in July 2017 and 1.09 per cent in August 2016. The last such high level of inflation was witnessed in April when the rate of price rise was 3.85 per cent. The government data released today showed that prices of food articles went up by 5.75 per cent in August on a yearly basis, as against 2.15 per cent in July. previous month. Inflation in manufactured products witnessed a slight increase at 2.45 per cent in August, against 2.18 per cent in July. Apart from vegetables, the food articles that saw rise in prices include pulses, fruits (7.35 per cent), egg, meat and fish (3.93 per cent), cereals (0.21 per cent) and paddy (2.70 per cent). However, potato continued to see deflation at 43.82 per cent and pulses (-)30.16 per cent. The final print of June WPI inflation remained unchanged from provisional estimate of 0.90 per cent. Data released earlier this week showed retail inflation rose to a five-month high of 3.36 per cent in August due to costlier vegetables and fruits. Also industrial production grew by just 1.2 per cent in July from 4.5 per cent a year ago, bearing the brunt of a dismal show of the manufacturing sector. Last month, the Reserve Bank cut policy repo rate by 0.25 per cent to 6 per cent citing reduction in inflation risk. The rate cut was the first in 10 months and brought policy rates to near 7-year low. The RBI said it will endeavour to keep retail inflation close to 4 per cent but in the near term, there might be some uptick on account of pay commission payouts and price adjustments post GST rollout from July 1.